A short preview for one of the many fuselages that will be available in Starship Corporation. 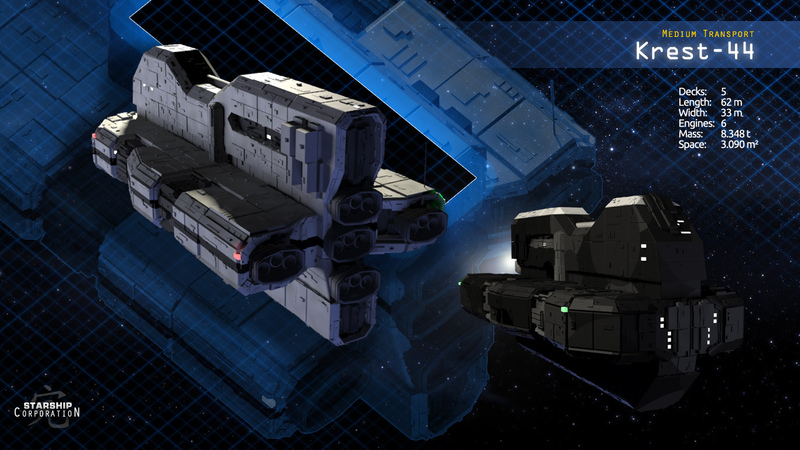 The Krest-44 Class was designed for the construction of medium transport vessels, but can fulfill many other purposes. really wished all those ship to be accessible right now, so i could test them. but take your time so we would have less bug and therefore gain more time to enjoy the game new "ship building" part of the game.